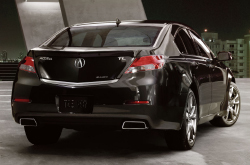 2013 Acura TL research and review from Vandergriff Acura, The trusted resource. It's our responsibility to present Acura reviews composed by the most exceptional automotive writers in the business - it's just one of the things that makes us a foremost Acura dealer in Fort Worth. Every article comes filled with usable material, specs and research - just what you need to make smart decisions on your next Acura TL purchase. Watch the video below or skip it to get the TL review. Comparing the 2013 Acura TL next to against vehicles like the 2013 Infiniti G37, Lexus ES 350, Lincoln MKZ, Hyundai Genesis and the BMW 3 Series, and you will catch that the 2013 TL outperforms the competition in several areas. Take a look at our bullets to see why! Our Acura dealership in Fort Worth is quartered near several recognized nearby cities! So, you're a short trip away from getting actual OEM parts and work from Acura technicians! We also give our customers confidence with a gratis warranty on repairs! Even the quality Acuras in Fort Worth can take a thrashing, so turn to the Acura service and autp repair hot shots in Fort Worth at Vandergriff Acura. We handle difficult, intricate duties like electronics repair, as well as simple operations such as conventional oil changes, tire rotation and replacement and a large spectrum of other special services. It's self explanatory - to get modest prices and hot shots Acura repairs, Vandergriff Acura should be your first choice when picking a Fort Worth auto center. Take a look at our current service specials by clicking the link below.